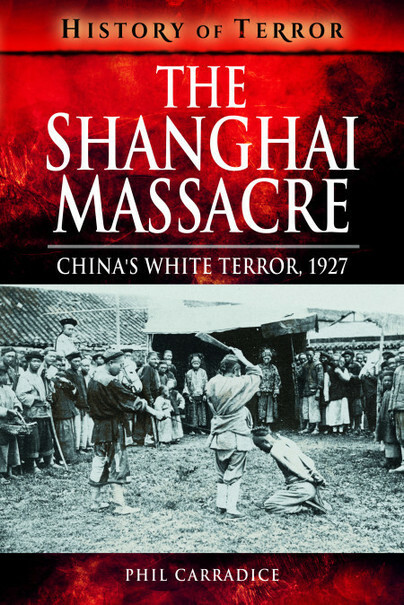 You'll be £7.79 closer to your next £10.00 credit when you purchase The Shanghai Massacre. What's this? On 19 February 1927, the city of Shanghai fell silent as a general strike gripped the factories of the industrial district. A magnet for foreign traders and businessmen (British, French, American, then later Japanese), by the 1920s the pursuit of profit had produced one of the most cosmopolitan cities that the world has ever seen. Known as the ‘Whore of the Orient’, Shanghai was a melting pot where every imaginable experience or luxury from East or West could be enjoyed. But in 1927, the city’s wealth was under threat: advancing from Guangzhou in the south of China was a Guomindang army, backed by the Soviet Union and in alliance with the Chinese Communist Party, which seemed to be a clear danger to the businessmen of Shanghai. However, the army’s commander, Chiang Kai-shek, a conservative, was tiring of his allies. Plotting with Shanghai’s most influential gangster, Chiang planned to rid himself of the Communists once and for all. The stage was set for a bloodletting in the streets of the city of Shanghai. Phil Carradice is a well-known writer and historian with over 60 books to his credit. A poet, story teller and broadcaster, his most recent books are 'The Cuban Missile Crisis' (Pen and Sword), 'The Call Up' (Fonthill) and the novel 'Stargazers' for Accent Press. He is a regular broadcaster on BBC Radio and TV, presents the BBC Wales History programme 'The Past Master' and is widely regarded as one of the finest creative writing tutors in Wales.